This week brings us three major releases, one opening Wednesday, the other two on Friday. The character of Jason Bourne made his debut in the 1980 Robert Ludlum book, The Bourne Identity. The story opens with Bourne being found with bullet wounds and no memory of who he is or why he has been shot. As the tale unfolds he soon discovers that he is a highly trained individual, possibly a spy or assassin, and begins to piece together the reasons why he was left for dead. Since his debut, Jason Bourne has gone on to feature in two further Ludlum penned stories, along with six written by Eric Van Lustbader (a seventh is due at the end of 2012). The character actually made his screen debut in an extended TV movie in 1988, which featured Richard Chamberlain as Bourne, and Charlie's Angels's Jaclyn Smith as Marie. While there were differences between this version and the novel, it would be a closer adaptation than the next version to reach the screen. Director Doug Liman, a fan of the book since reading it in high school, decided he wanted to adapt it for the screen while finishing up work on his breakthrough movie, Swingers. It would take two years before he could wrangle the rights from Warner Brothers and a further year of writing with Tony Gilroy before a workable script emerged. Liman discarded all but the central premise for his version, contemporising the themes and politics in the process. He also added elements garnered from his father's memoirs, a former NSA operative, who had had dealings with Oliver North - traits of whom would be the basis for the character of Alexander Conklin. In casting the central role of Jason Bourne, Liman considered Sylvester Stallone and Russell Crowe, amongst others, before settling on Matt Damon, who at that point was known primarily for his dramatic roles and being the co-author of Good Will Hunting. The actor trained hard and would go on to perform a number of his own stunts. The production itself would be fraught with trouble. Issues with the studio slowed down shooting and Liman's distrust of Universal ended up causing a rift. Problems with the script, particularly its third act, caused delays and contributed to the movie going $8M over-budget, missing its September 2001 release date. Even when filming seemed complete, poor test audience reaction to the finale resulted in further re-shoots to bulk up the action. An article in Premiere magazine around this time mentioned that Liman had possibly re-shot the last hour of the film. Signs weren't good for the $60M picture but the tide began to turn with the first footage, which appeared to sell the film as a James Bond for the 00s (the movie, especially its action and the way it was shot, would actually go on to influence the Daniel Craig Bond movies). The Bourne Identity debuted in June 2002 to very strong reviews, many highlighting the frenetic action sequences, which for once, didn't overshadow its intelligent story and performances. The film opened to an impressive $27M weekend, happy to settle for second place against the live action Scooby Doo picture. Subsequent weekends would be equally solid, and even when it dropped out of the top ten in week six, it still managed to make more than $3M. All told, in its 23 week run, The Bourne Identity made $121M in North America, with a further $92M coming overseas. Not a spectacular figure, but for an untried actor (in terms of the action genre at least) in an original picture, a solid showing, and enough to make Universal ponder Jason Bourne's future on the screen. They didn't ponder the idea for long, and soon set up development on what would become The Bourne Supremacy. Damon had stated that during production on the first film there was little thought given to a sequel, reasoning that no one involved would want to come back unless they could make an even stronger picture. Tony Gilroy returned to pen the second film, which would again be only a loose adaptation of the source material, with plenty of modernisation. The start point would be the assassination of Bourne's girlfriend, forcing him out of exile and back into the game. 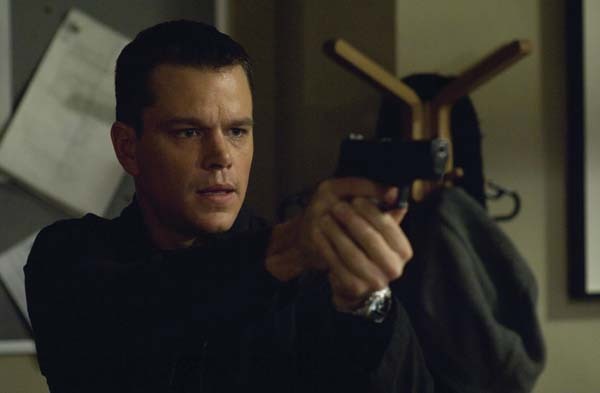 Complications ensue when he is implicated in the murder of a CIA agent attempting to gain information about the Treadstone training programme of which Bourne was a member. While Universal were happy to greenlight the sequel based on Gilroy's script, they were unwilling to work with Liman again, and the producers (which included Frank Marshall) set out to find a new director. At the screenwriter's suggestion, they watched the gritty TV movie, Bloody Sunday, which had been directed by Paul Greengrass. Impressed with Greengrass' ability to put the viewer into the frame, he was hired to helm the Bourne follow up. Damon would of course return, to be joined by Joan Allen, Karl Urban and Brian Cox. Just over two years since the release of the first film, Universal debuted The Bourne Supremacy. The picture not only received equally strong notices but opened to almost double the box office of 'Identity', making $52M over its first three days. It would go on to make $176M, for a strong global total of $288M. One assumes Universal couldn't greenlight that third picture fast enough. And so work began on The Bourne Ultimatum, with both Paul Greengrass and Matt Damon reprising their respective roles. However, due to a deal cut with the studio, Tony Gilroy was only committed to turning in an initial draft of the script. It's assumed this was due to Gilroy working on his directorial debut, Michael Clayton, but whatever the actual reason, Damon was not impressed with his writing publicly stating so in an interview with GQ some time after the film's release (as an aside, Gilroy was not too happy with the final script and didn't watch the third film until a number of years later). With the first draft coming up short, the studio turned to Scott Z Burns and George Nolfi to quickly knock things into shape as the production start date loomed large. Everything did eventually fall into place but Nolfi was still present on set during the entire shoot, often rewriting the pages for the next day's shooting, the night before. Bourne would still be attempting to get to the bottom of the whole Treadstone/Blackbriar conspiracy, but in a clever twist, this third story would run almost parallel with events in the latter half of the second film, before merging and going forward to its own conclusion. It seems somewhat ironic, given the haphazard nature of the scripting and production, that The Bourne Ultimatum was the best reviewed film of the series, winding up with a 94% critical approval rating. The box office numbers would also be the biggest so far, with the picture opening to a still-unsurpassed August weekend record of $69M. By the end of its North American run, 'Ultimatum' had made a series best figure of $227M, with international figures almost as strong, at $215M. It was also the first of the series to be nominated (and win) Academy Awards (For editing, sound mixing and sound editing). While both star and director were quick to let it be known that a fourth film was almost certainly out of the question (According to Damon, Greengrass joked it would need to be titled The Bourne Redundancy), Universal weren't about to give up that easily - not while the property was going from strength to strength. Six months later, Variety announced that a fourth Jason Bourne picture was in the works, with Matt Damon, Julia Stiles, Joan Allen and Paul Greengrass all on board. George Nolfi was hired to script, with Joshua Zetumer working on a parallel screenplay that could later be combined into one, as Nolfi was already committed to directing The Adjustment Bureau in September (which would also star Damon). Things seemed to be progressing well until December 2009, when Greengrass officially left the project, stating that he wanted a new challenge. With Matt Damon saying more than once that he would only make a fourth picture if Greengrass was at the helm, he too left the project shortly after, saying a new Bourne picture was at least five years away. The studio knew the franchise could survive with a new director, but weren't so sure about a new lead, at least not with the current story. The decision was made to put the film on hold but by June of 2010, Universal had found a new direction, with an old familiar face attached. With Jason Bourne seemingly out of the picture, the studio pushed forward with the idea of a spin-off. Tony Gilroy would return to the franchise not only as the writer of this new movie but as director too. In the interim he had directed Michael Clayton and Duplicity and was now ready to create a new hero inside the existing Bourne universe. 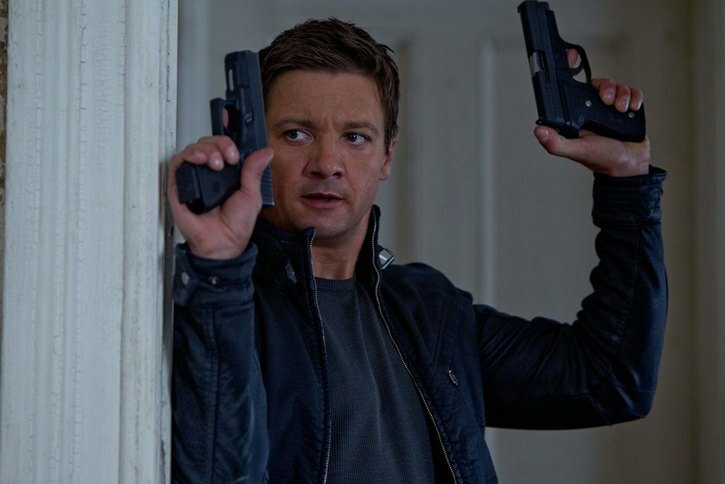 The Bourne Legacy was announced as a summer 2012 release, and all concerned were quick to point out that this was not a reboot or a replacement for Jason Bourne - the character was still alive and well, but would not figure in this new picture. Rather this new story would expand the Treadstone/Blackbriar conspiracy and show that Bourne has been one small part in a much wider scheme. Keeping the old character name in the title, Universal needed to ensure they cast someone as physical as Damon, but who could also make this new role his own. In April 2011 came the news that Jeremy Renner had won the role of new protagonist Aaron Cross. Renner had been quietly making a name for himself for some years, but it was his work in Kathryn Bigelow's The Hurt Locker that brought him much wider public attention. He followed that up with another Oscar nominated turn in The Town, then broke into the Marvel universe with a cameo role in Thor. Before joining the Marvel team proper in the 2012 smash The Avengers, he found time to act alongside Tom Cruise in the fourth Mission: Impossible film (at one point it had been speculated that Renner would be taking over the M:I franchise from Cruise). With Renner in place, Gilroy set about finding a suitable antagonist, a role which would ultimately go to Ed Norton, whose casting was announced alongside that of Rachel Weisz. But it wouldn't be all new faces, as Joan Allen, Albert Finney, David Strathairn and Scott Glenn were all set to reprise their Bourne series characters, again echoing the idea that we were still in the same universe. Production appears to have gone smoothly, with cast and crew shooting in Manila and South Korea, amongst other global locations. The story for this spin off follows the idea that Jason Bourne wasn't the only agent of his kind - that others projects and other, perhaps deadlier agents, existed. With Treadstone/Blackbriar exposed at the end of the last film, the CIA decide to close down other black ops projects and execute any remaining field agents. However, things don't go as planned, leading to Aaron Cross escaping, and teaming up with one of the project's doctors (Weisz) in an attempt to expose his superiors to the world. Gilroy has stated this film begins as the third film is winding down, and goes off in its own direction. An initial teaser kept things low key, with only glimpses of action. This was rectified with subsequent trailers and footage, proving Renner more than an ample replacement for Damon. The studio wisely opted to alter the release date, avoiding a direct clash with Total Recall and further distancing itself from The Dark Knight Rises. The only question now would be whether the public would take to the picture in the same manner as the previous ones. Keeping 'Bourne' in the title (and glimpses of the character's photo in trailers) was a wise move by Universal, but they know it will need to stand on its own merit if it is to survive that first weekend and beyond. At $90M, it is the second costliest of the series, but potentially the riskiest since that first one. If it succeeds, it may well pave the way for a franchise of its own, with the promise of Damon's return ever present in future movies. Our other wide release this weekend is the political comedy The Campaign, starring Will Ferrell and Zach Galifianakis. Ferrell stars as Cam Brady, a long time congressmen who looks assured of yet another victory in the upcoming election. However, when a PR stunt goes wrong (Brady inadvertently punches a baby in the face), a couple of big shot CEOs decide to put their own candidate forward, hoping to gain influence over the district when he wins. Their choice is Marty Huggins, a naive local tourism centre manager, play by Galifianakis. While Huggins seems a most unlikely political shark, with the cut throat help of his benefactors, he soon becomes more than a match for Cam. With each side resorting to lower and dirtier tricks as the election looms, will the public be able to see through all the mudslinging and choose the right man for the job, if indeed there is one? Jay Roach might seem a curious choice to direct, seeing how he made his name with the Austin Powers and Meet The Parents series of films, yet The Campaign marks the third politically themed picture of his career. Back in 2008 he directed the drama, Recount, which chronicled a number of weeks during the 2000 presidential election and subsequent vote recount in Florida. Then, earlier this year he worked on Game Change, a dramatisation of John McCain's 2008 presidential campaign, including his appointment of Sarah Palin. Will Ferrell and Campaign producer Adam McKay were also no stranger to politics, having worked on The Final Night with George W. Bush stage show and subsequent HBO one-off. 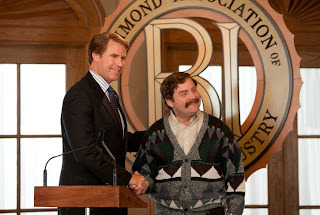 Ferrell and Zach Galifianakis had expressed an interest in working together on something, and approached Roach with the idea. The director had actually given the former-SNL star his big screen break as Mustafa in the original Austin Powers movie, and had only recently worked with Galifianakis on the 2010 comedy, Dinner for Schmucks, so was happy to join the project despite it being at an early stage. The actual production ended up coming together faster than anyone had anticipated after Warner Bros. gave the movie the greenlight moments after Roach and co. had finished pitching the idea to them. Scripting duties went to Eastbound & Down writers Shawn Harwell and Chris Henchy. At this point, the picture was known as Dog Fight, and would go through one further name change (Rivals) before settling on The Campaign. Production got under way in November 2011, finishing up late February. The two stars certainly have form, Ferrell cut his teeth on Saturday Night Live and went on to have numerous cinematic hits, including Elf, Old School and Talladega Nights, along with more dramatic turns in films such as Stranger Than Fiction and Everything Must Go. Galifianakis on the other hand, got his big break in the 2009 comedy, The Hangover, despite having worked in the genre in one role or another, since 1996. He's since gone on to appear in Due Date, Up in the Air and the HBO series, Bored To Death, while reprising his role as Alan Garner in the The Hangover II (which he will do again next year for the final part of the trilogy). The first trailer hit screens in May, and has since been backed up by further footage and fake campaign shorts. Both actors have their fans but the larger issue for the film will be the general public's apathy to all things political. In an election year, will people really want to escape the constant discussion and debate by going to see a film in which two politicians (albeit funny ones) do the same? With a budget of $56M attached, Warner Brothers are hoping so. Also released this week, two days earlier than normal, is the romantic comedy Hope Springs, starring Tommy Lee Jones, Meryl Streep and Steve Carell. The film follows a long married couple who find their lives in a rut. Deciding to do something about it, Kay Soames signs herself and reluctant husband, Arnold, on a week long counselling session with the noted marriage therapist, Dr. Bernie Feld. The feature has been through a few different cast line ups, though Streep has remained the constant since its inception in 2010. Jeff Bridges was set to play Arnold, but would drop out during development. James Gandolfini was also in the running at one point, as was Philip Seymour Hoffman (assumed to be playing Arnold and Dr Feld respectively). When director Mike Nichols left the project, so did any apparent involvement of the aforementioned actors. Devil Wears Prada's David Frankel signed on to helm and he replaced the exiting Bridges with Tommy Lee Jones. Columbia/Sony opted to open the picture midweek to avoid being lost amongst the showier releases of the coming weekend. Reviews at the time of writing have been exceptionally strong and this could play well with a slightly older demographic, potentially giving Hope Springs a boost outside of the standard weekend taking's window. Out at around 800 locations is Nitro Circus 3D, a movie spawned by the TV show featuring the extreme sport and stunt team of the same name. After success on the straight to DVD market in the early 2000s, Nitro Circus secured a TV show in 2009, allowing them to bring their own brand of motorbike and BMX stunt work to the small screen. A tour subsequently followed, as did a second season of the show. A 3D movie seemed a natural progression from there and shot over the summer of 2011. If the film seems like an extreme stunt version of Jackass, that's partly because Johnny Knoxville and Jeff Tremaine are co-creators and executive producers on the show. Whether the movie will cross over into the mainstream and see anything approaching Jackass-like success is questionable, but with a half-decent roll out, it could secure a top ten placing this weekend. Debuting in limited release is Spike Lee's Red Hook Summer. The film is notable in part for being Lee's return to the character of Mookie, made famous in his breakout feature, Do The Right Thing. The plot follows Flik Royale's eye opening summer spent with his preacher grandfather in Red Hook, Brooklyn. Like Hope Springs, Red Hook Summer debuted midweek.